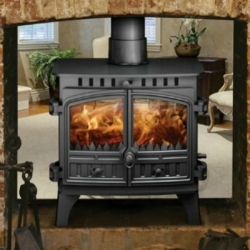 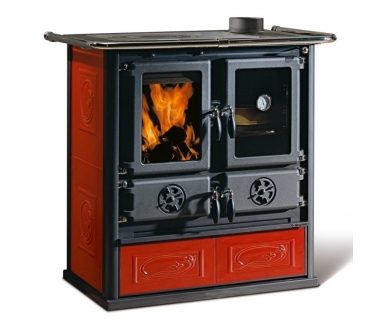 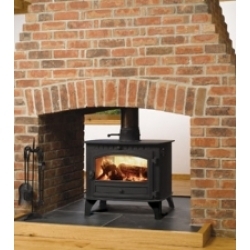 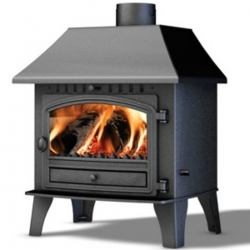 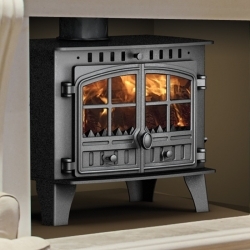 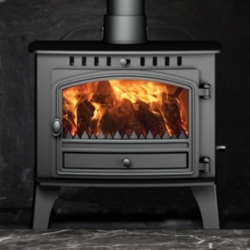 Nordica Rosetta Liberty: The Nordica Rosa Liberty is an attractive compact size woodburning range cooker that is available in three different finishes - bordeaux red, parchment or natural stone. 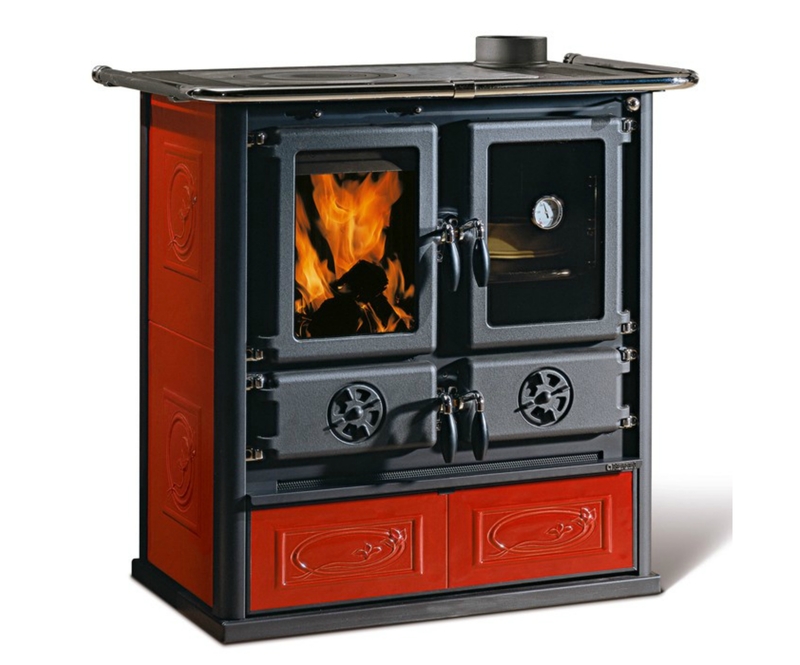 The Rosetta Liberty's fine features include: majolica finish tiles on front and sides with design, body plate and rings manufactured from cast-iron, the hob rings are removable; plus an enameled oven chrome fender and wood storage drawer. 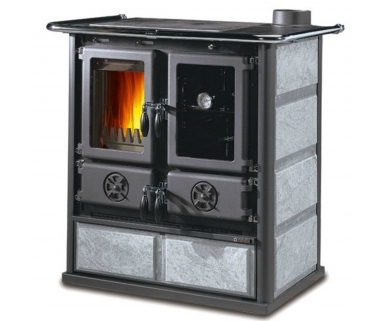 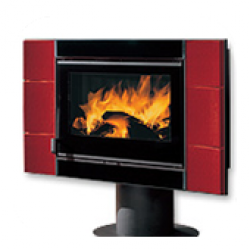 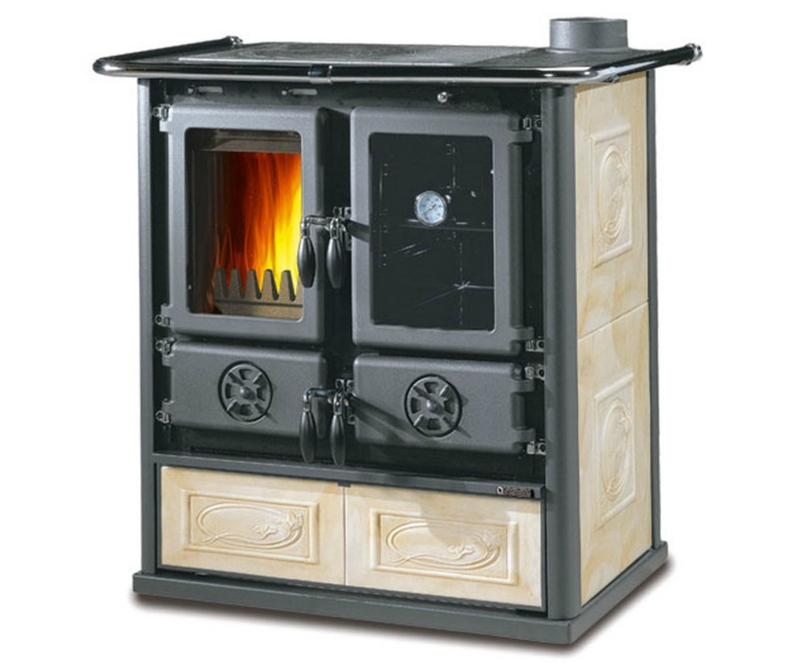 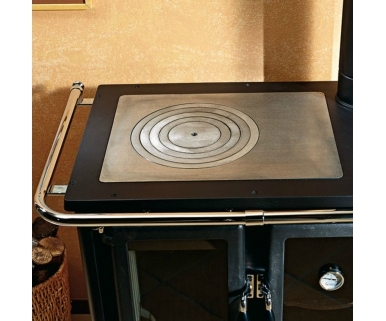 To provide adjustability there is a heat control damper and a warming compartment. For minimum cleaning there is air wash control (primary, secondary& tertiary) which keeps the glass viewing window clear, and a temperature gauge.